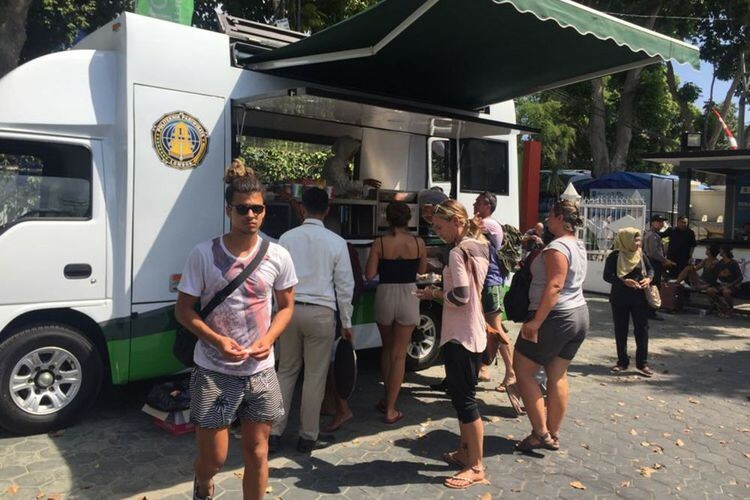 Following the magnitude-7 earthquake in Lombok on Sunday, August 5, the West Nusa Tenggara tourist office post along with the Lombok tourist polytechnic team operated a food truck at the West Nusa Tenggara tourist offices. The food truck is aimed to cater to earthquake-affected tourists, offering free food and beverages. More than 1,500 affected tourists have enjoyed the food provided by the food truck, which offered a variety of food and snacks like instant noodles, cookies, biscuits, coffee, tea, milk and teh tarik (pulled tea). “The tourist polytechnic currently owns one food truck,” Guntur confirmed. This is not the food truck’s debut in critical situations, as it has previously attended several crises, as it is usually utilized as a learning tool for students. Guntur said the food truck had been effective, practical and economical for tourists, noting that its existence will be evaluated for future use.